Jean-Michel Basquiat was an American artist of Haitian-Puerto Rican parentage whose art reflected his obsession with capturing the dualities of life and the broader social issues surrounding him. His work touched on many social injustices concerning race, wealth, privilege, and mental-health concerns, while also capturing his deep interest in spirituality and human emotion. 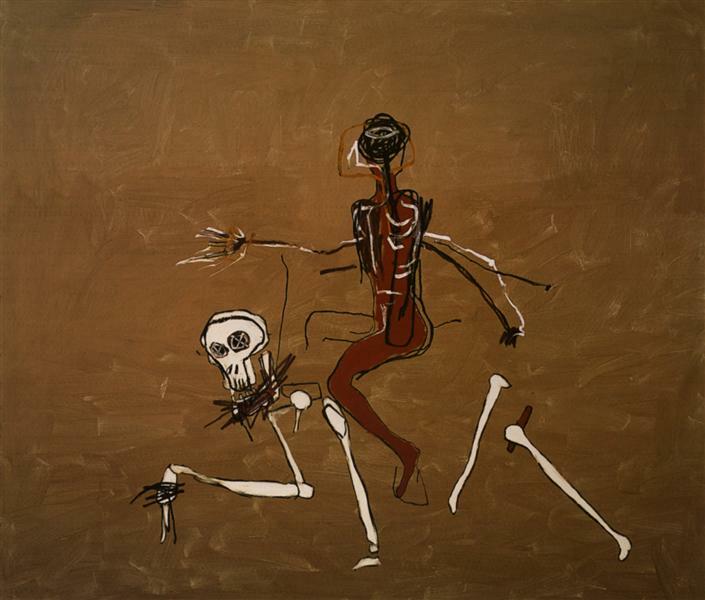 Tragically, Basquiat’s life ended at the age of 27 due to a heroin overdose. 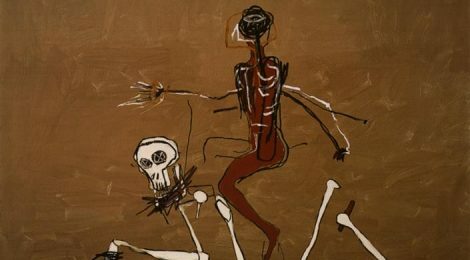 His creation ‘Riding with Death’ is thought to be one of his last paintings and appears to depict a fight between a man and a skeleton.